The Selective Sound blog crowd-sources a lot of what you read here from different members of the team as well as industry professionals from all over Northeast Ohio. Our founder, and Cleveland wedding expert, drives most of the content we share here. We do this because he has the most experience when it comes to wedding entertainment. For this post, we asked our Cleveland wedding guru to answer the most commonly asked questions in regards to planning a wedding in Northeast Ohio. These questions aren’t just about services SSE provides but all corners of the wedding planning experience. Question: What should couples look for when choosing a wedding venue in Cleveland Ohio? Jay R: When choosing a wedding venue, you need to find out if they have their own in-house caterer or if you can bring in your own. Some venues are full service while others are just the venue itself (with very little that comes with it). You need to research and do reviews of venues you may fall in love with before you commit. Remember, if you find a venue you fall in love with that fits your budget, you must remember that there is a laundry list of items you may have to rent as well. Along with your caterer, you may also need things such as chairs, silverware, tables, garbage cans, etc.. Question: What makes a great wedding planner? 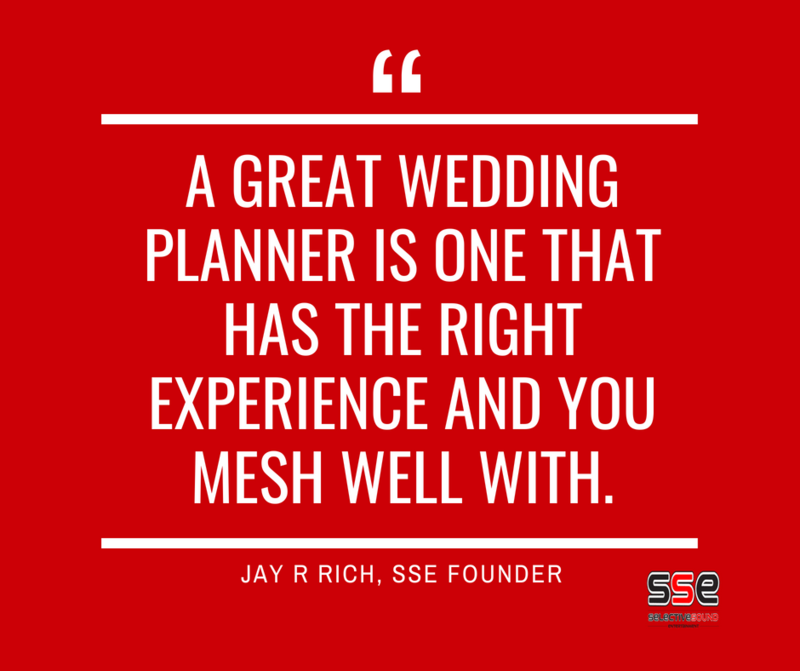 Jay R: A great wedding planner is one that has the right experience and you mesh well with. He/she should understand your vision and lead you to make the right decisions so that your wedding is one of the best and most stress free days of your life. Question: What’s your biggest tip for anyone who is looking to hire a Cleveland wedding photographer? Jay R: My biggest tip when hiring a Cleveland wedding photographer is to make sure that they truly know weddings! A wedding photographer must know how to speak up and control the guests. This is the only way to ensure all of the formal shots come through. If you have a photographer that is shy, it will take more time to get your guests to pose for pictures. Question: What makes a great wedding videographer based on what you’ve seen in your experiences in Cleveland? 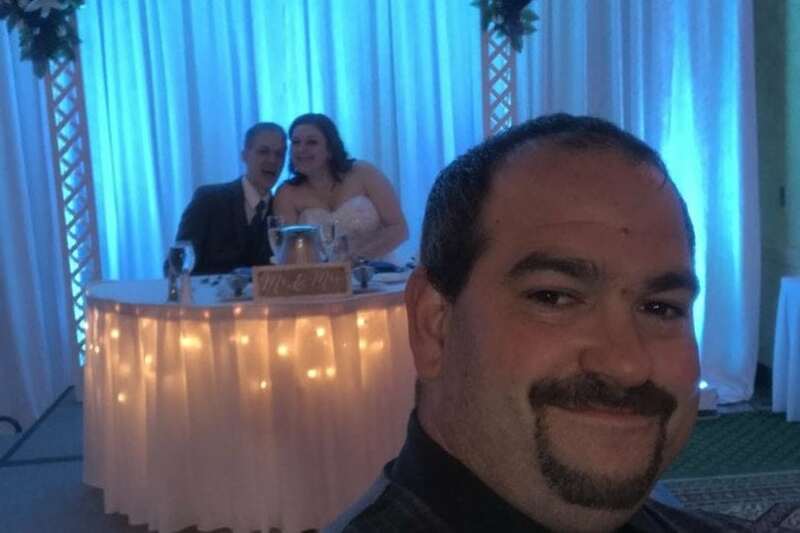 Jay R: A great wedding videographer is always in the right place at the right time. Within seconds, he/she can catch just about any action. 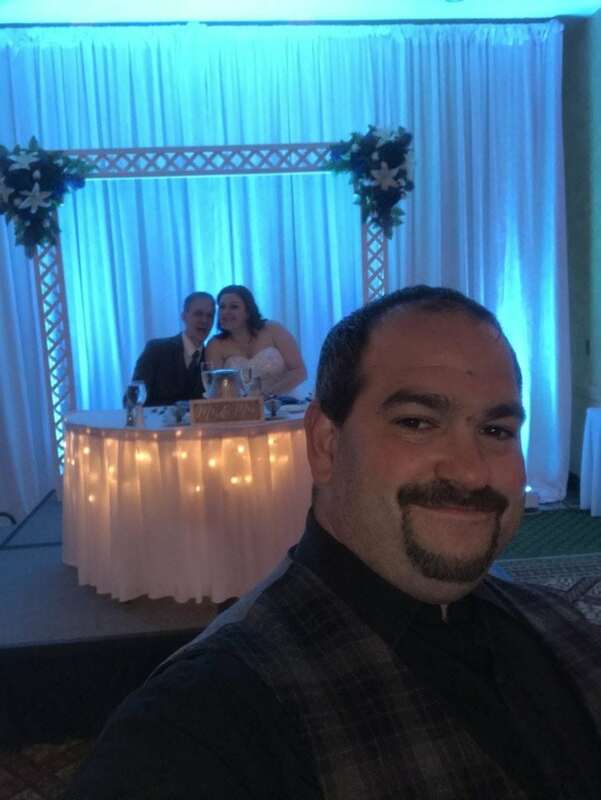 Question: How long have you been a Wedding DJ in Cleveland? 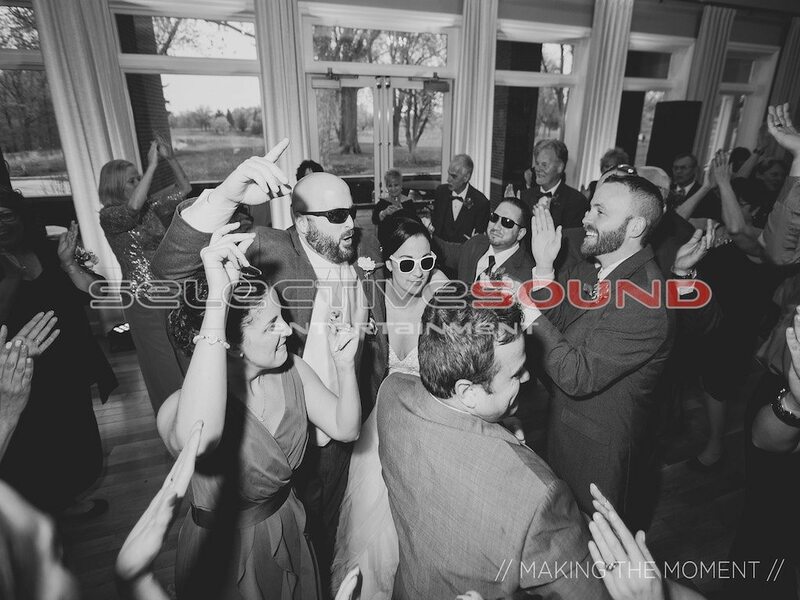 Jay R: Selective Sound is celebrating its 31st year doing wedding receptions in Cleveland, Ohio. Question: Why do you like working with clients on uplighting for their weddings? Jay R: I like working with clients on uplighting because we get to help them make the best choice with colors. I like seeing how happy they are when we can make the most out of their budget. Question: What’s your opinions on wedding bands for receptions? 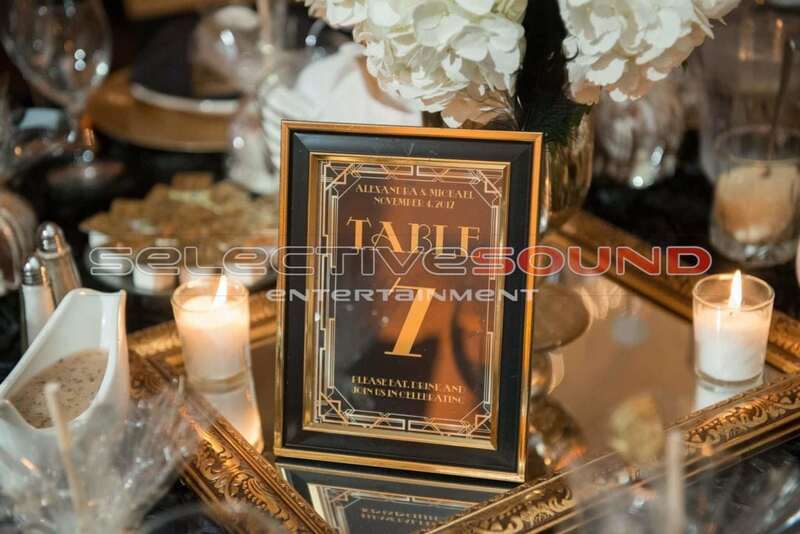 Jay R: We love working with Bands at weddings! However, if they don’t have a qualified MC and DJ with the band the night may move slower. I strongly recommend a band that has a DJ/MC that has an extreme amount of wedding experience. They have to be able to run the evening and do formal, well rehearsed, well heard announcements. Question: For couples looking for wedding ideas, where would you suggest they look for inspiration? Jay R: Pinterest is the best place to start as well as the knot.com. 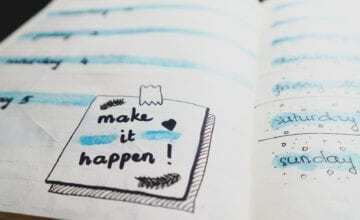 Remember, the more things you see that inspire you the more all of those ideas will add up. 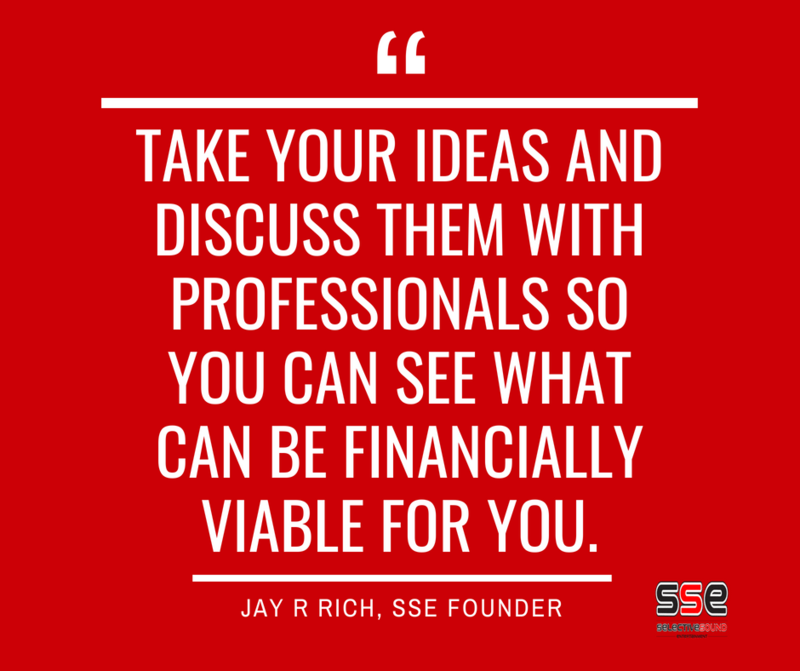 You need to take your ideas and discuss them with professionals in the industry. This way you will know what be financially viable in the end. Thanks for the answers to these questions, Jay R! You can reach out to him any day and ask him your questions right here!